The Jehovah’s Witnesses settled a lawsuit this week brought by a Pennsylvania woman who says the religion’s leaders covered up sexual abuse she suffered as a teenager. The settlement came five days into a trial in which Stephanie Fessler, a former Jehovah’s Witness, claimed the religion’s parent corporation violated Pennsylvania’s child abuse reporting laws by instructing local leaders – known as elders – not to report her allegations to police. According to Fessler, a middle-aged Jehovah’s Witness woman, Terry Monheim, began sexually abusing her when she was 14. At 15, Fessler disclosed the abuse to her parents. Her father was an elder in their congregation. Fessler’s parents informed other congregation elders, who interrogated Fessler and Monheim but failed to report the abuse to police. As a result, Monheim continued to abuse Fessler for another year, according to court documents. In 2011, Fessler, then 22, reported Monheim to police. Monheim eventually pleaded guilty to indecent assault and corruption of a minor and was sentenced to between three and 23 months in prison and five years’ probation. Pennsylvania law mandates that anyone, including clergy, who comes into contact with children during the course of their work must report child abuse to authorities. Fessler’s attorney, Jeff Fritz, said that “out of an abundance of caution” regarding the settlement, he could not discuss details of the Pennsylvania case. “A matter with the Jehovah’s Witnesses has been resolved,” he said. 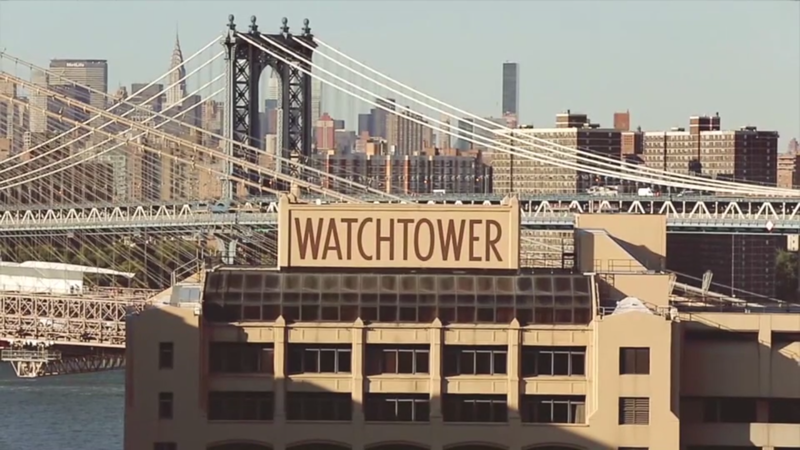 Jehovah’s Witnesses generally are discouraged from interacting with government. But for more than 25 years, the religion’s headquarters – known as the Watchtower – has issued written policies directing congregation leaders not to report child sexual abuse to law enforcement, unless it’s required by state law, Reveal from The Center for Investigative Reporting previously found. The Watchtower maintains a database of alleged child abusers in congregations across the U.S. going back two decades and has violated court orders in at least three California lawsuits to hand it over to the courts. It could provide a road map to thousands of accused child molesters living freely in communities across the country.